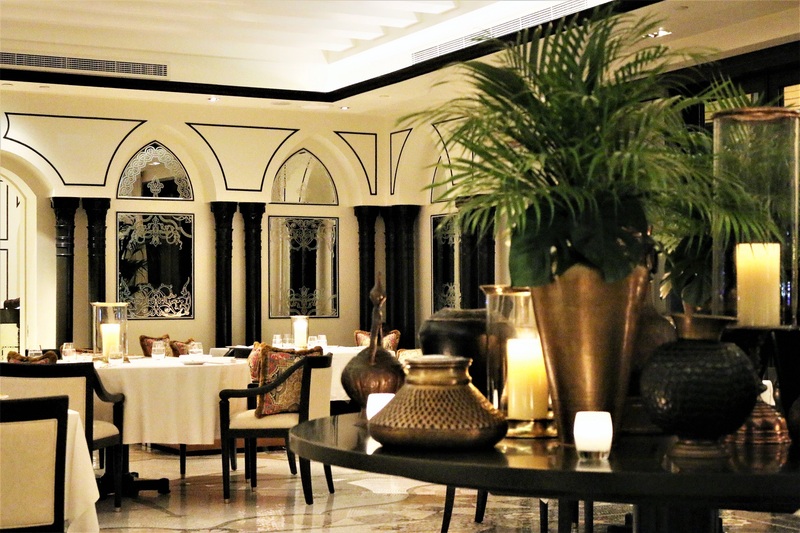 The five star Palazzo Versace Dubai is utterly stylish and sophisticated. 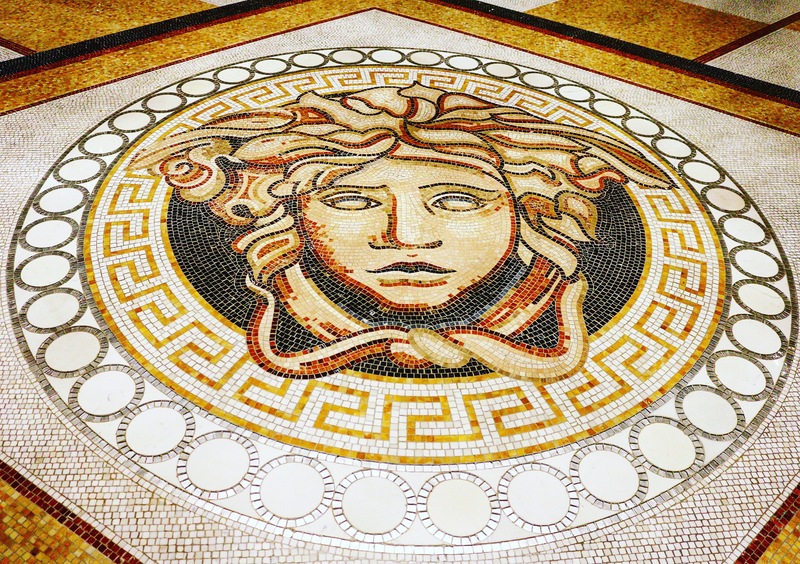 The Palazzo Versace boasts some charming, fine dining restaurants including Vanita’s and Enigma. As the name suggests there’s an element of mystery to Enigma, that’s rather alluring. 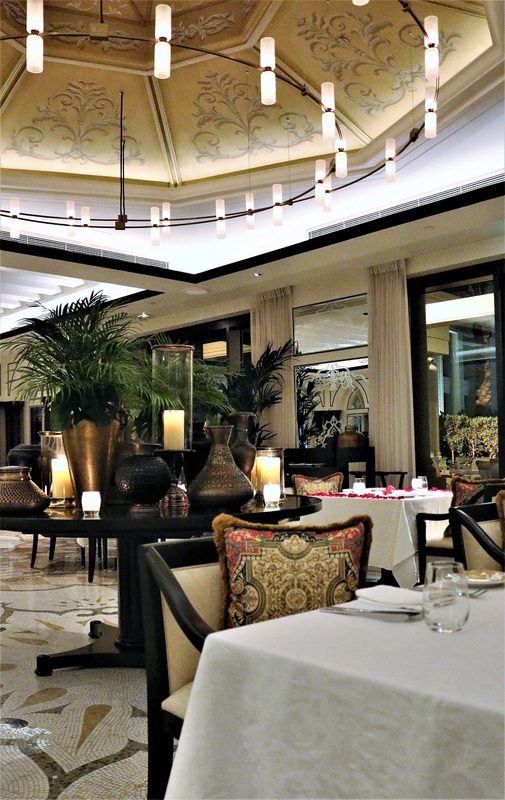 A dining concept that presents the “Inside Story” with award winning chefs, creating transient, unique menus for limited periods of time. 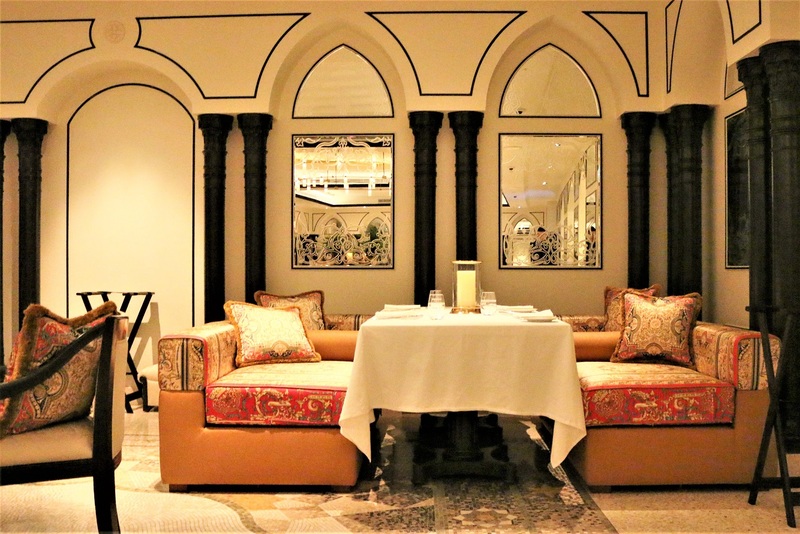 At present, acclaimed Chef Yunus Emre Aydin takes centre stage, with a multi-sensory culinary journey, celebrating Turkish cuisine. It’s a rather modern take on traditional Turkish cuisine. 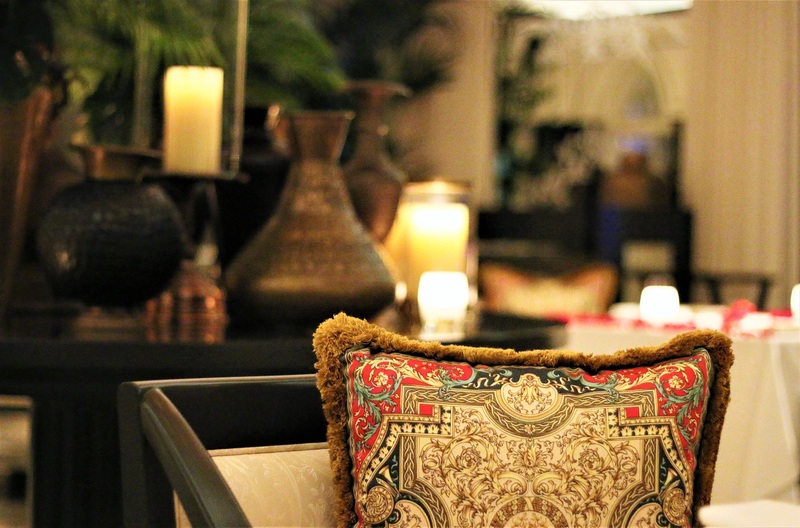 The restaurant is absolutely beautiful and the elegant décor is perfectly complimented by the plush Versace cushions and the gentle glow from candle light. 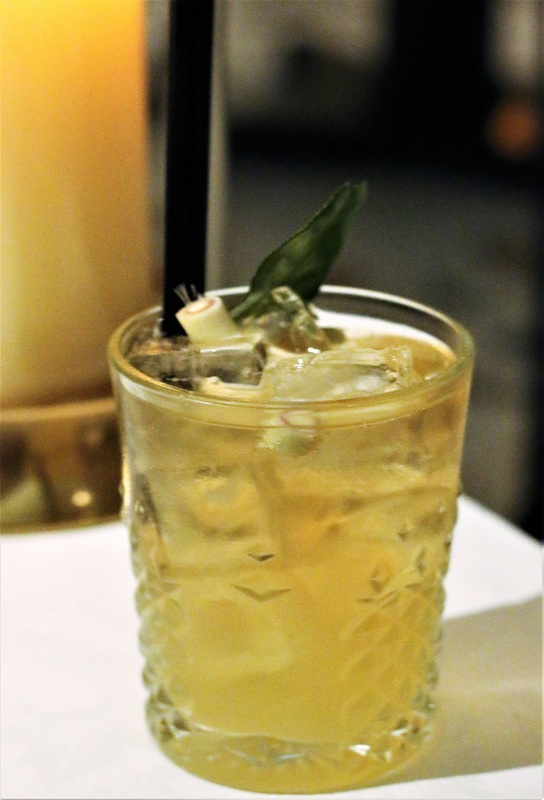 Starting with a refreshing lemongrass drink with ginger tea, this felt like a drink for a spa, and set the tone for the relaxed evening ahead. The warm breads arrived straight from the oven and were light and fluffy and delicious when dipped in the refined pomegranate and tomato salsa. 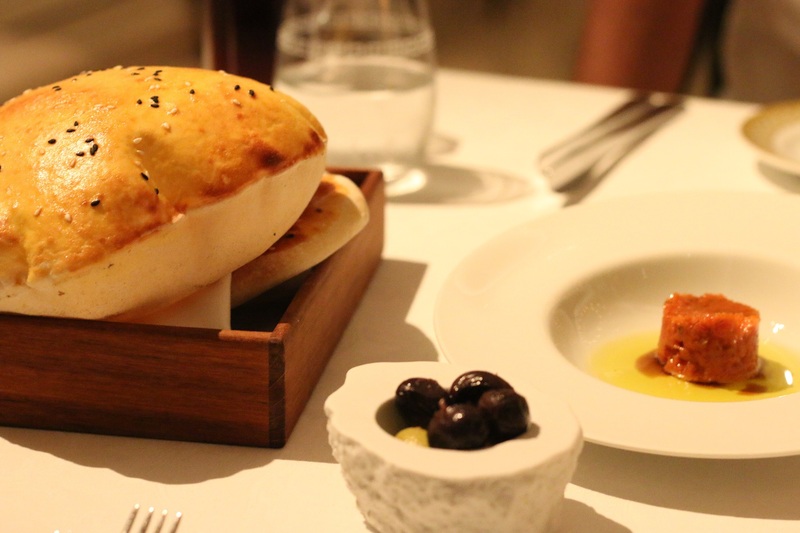 The starter Shakshuka, was an impressive combination of eggplant cream, tomato espuma and red pepper marmalade served in rolls of vegetables, on a sleek white stone. The dishes just make you smile, as they have clearly been arranged with precision and finesse, adorned with micro herbs and edible flowers. 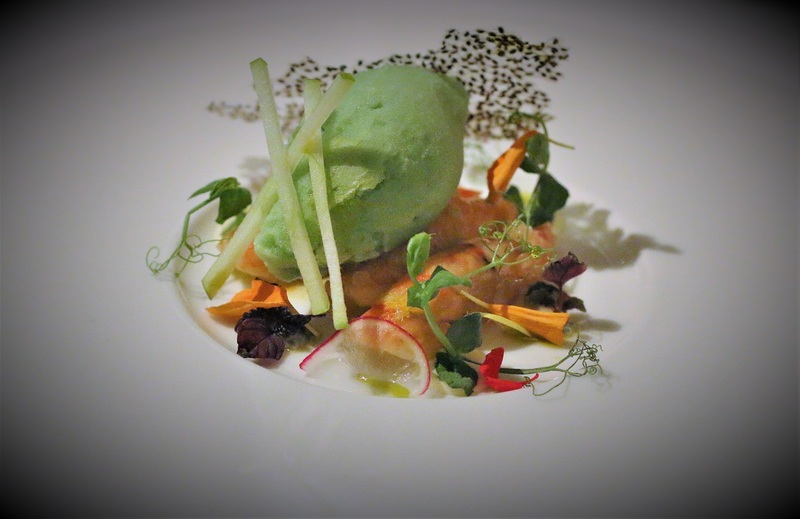 The Aegean Shrimp, were marinated in mandarin and served with lemon cream, and a refreshing apple sorbet. The cooling sorbet was delightfully palate cleansing, and worked perfectly with the fruity shrimp. The main course of 7 spiced lamb neck, slow cooked for 36 hours was tender and succulent, and literally fell apart. The fondant potatoes just melted in the mouth. 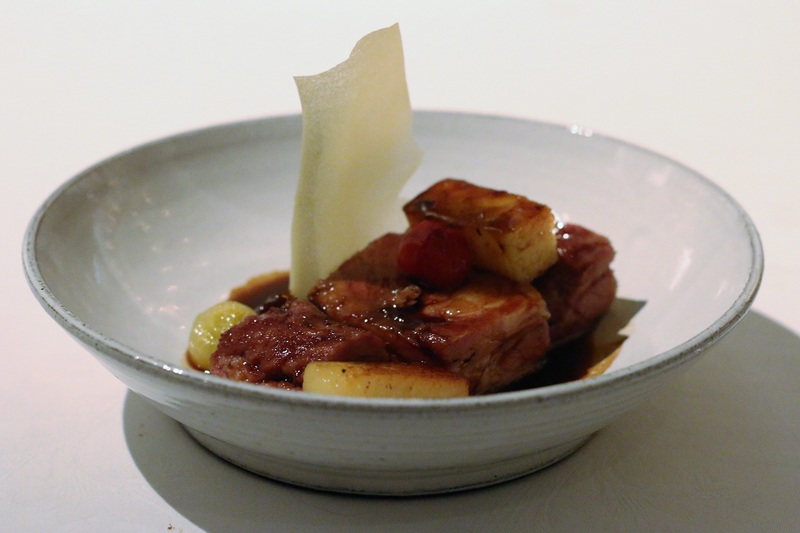 The lamb jus accompanied by the sweet fig jam gave a lovely sweetness and texture to the dish, with a burst of flavour from a pickled onion and tomato. The amuse bouche was served rather mysteriously. Given merely a clue, we were left guessing the flavour of the unusual ice cream. 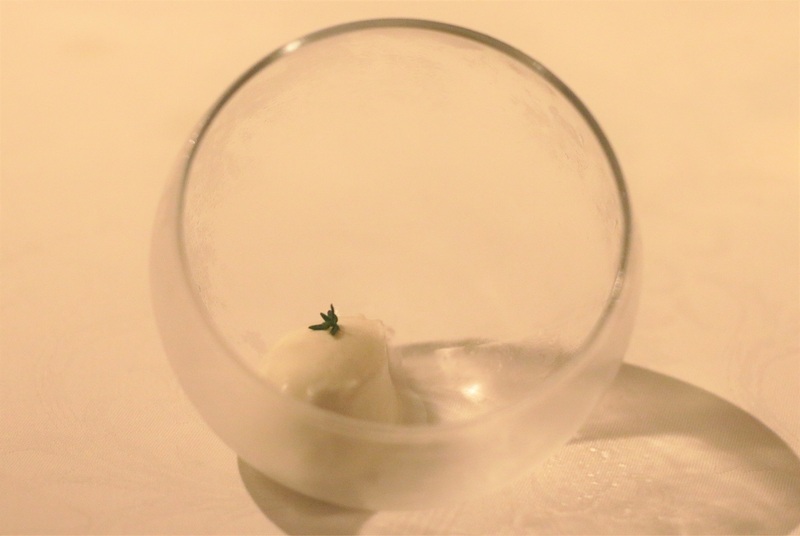 In fact it was an earthy, thyme ice cream. The sour cherry biscuit wouldn’t usually be something we would be inclined towards ordering however, on recommendation from the waiter, we’re so glad we did. 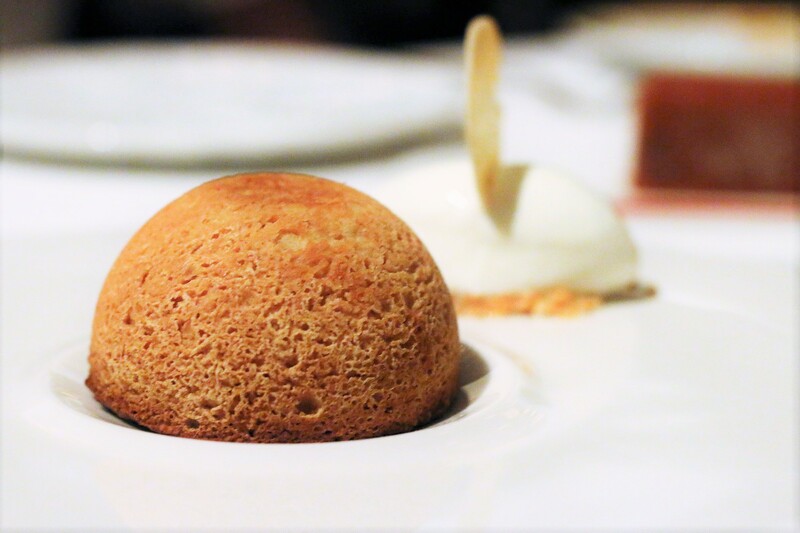 Served piping hot, the sponge with sour cherries was just divine and perfectly accompanied by an almond ice cream. 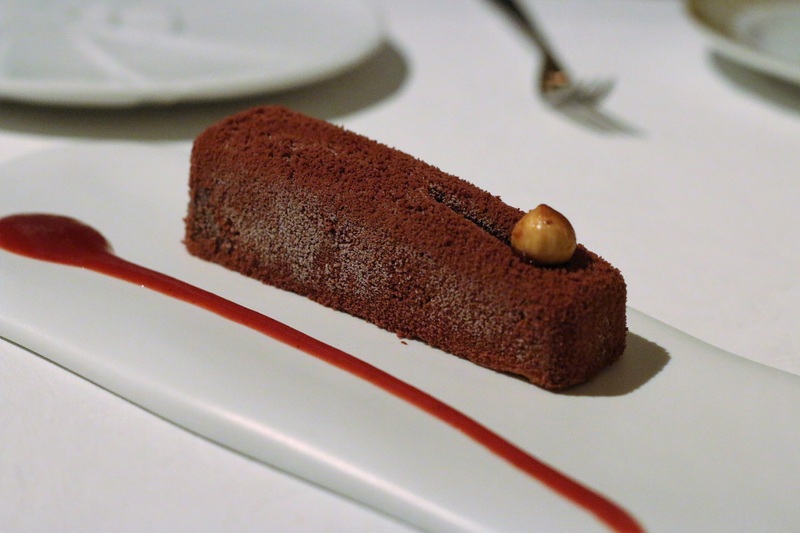 The crunchy hazelnut parfait was sprayed with haze of chocolate and served with a strawberry sauce and caramelised Findik. 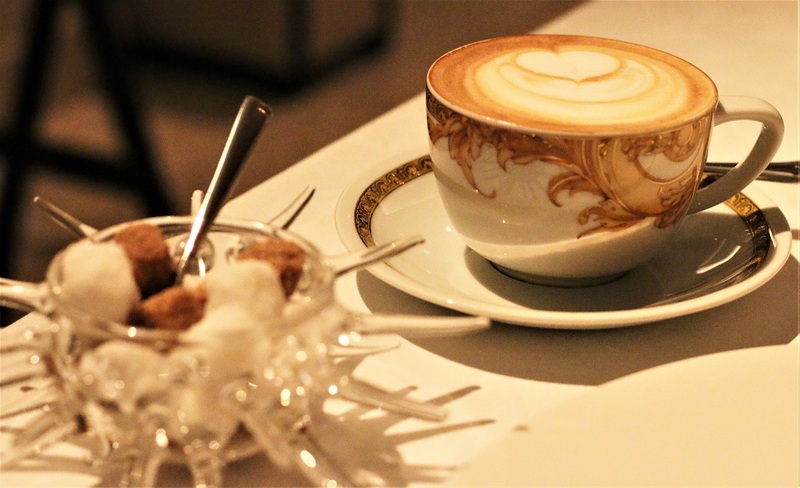 The Cappuccino was served in gorgeous, traditional Versace Rosenthal tea cups with a rather modern, glass sugar bowl. 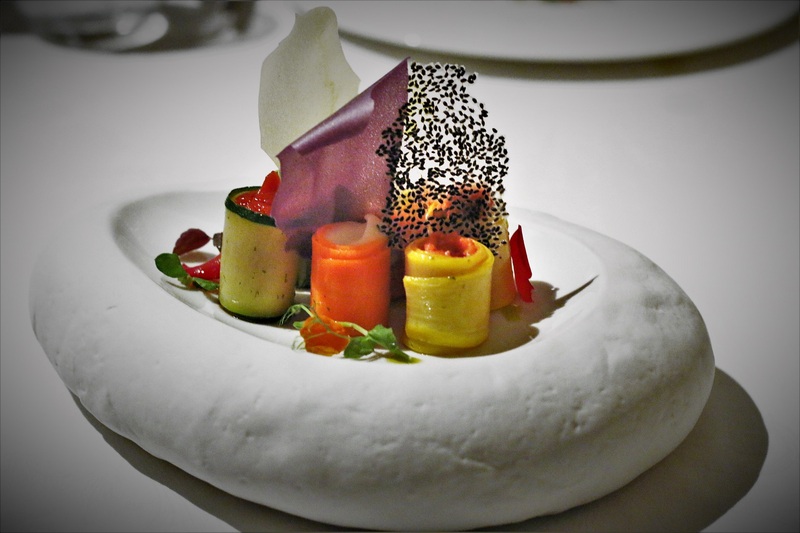 Service at Enigma was impeccable and the food truly exceptional. 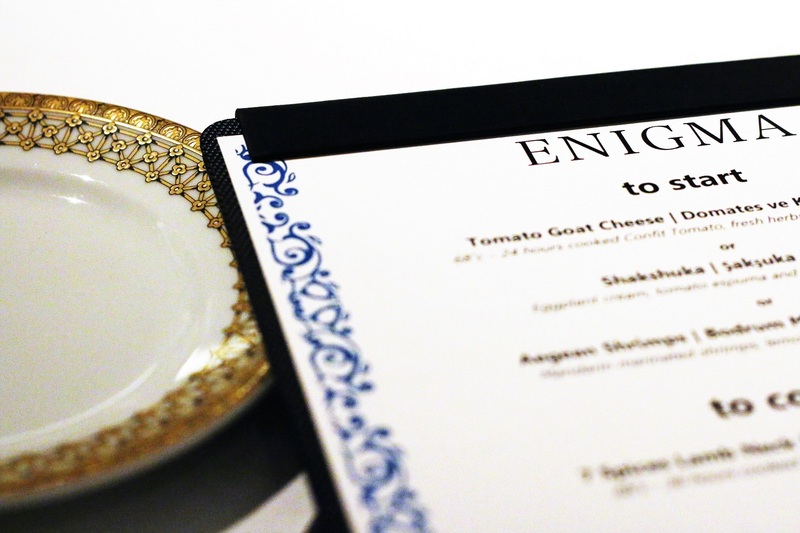 Enigma is a really lovely restaurant, that’s pushing the boundaries. It’s ideal for a special birthday, and anniversary celebration. It’s really romantic yet also suitable for a small group. Enigma is a real gem and the excitement of not knowing what’s to come next on the ever changing menu, is all part of the charm. We really can’t wait to go back.